Why the quotation marks? Because, much like other sleep regressions, this one doesn’t necessary happen in the precise months the books told you it would. Instead, it is likely to rear its head whenever your little one is going through her first and biggest phase of learning control and independence. While other sleep regressions that occurred between 8-10 months were often about physical development (crawling, pulling to stand, cruising, etc. 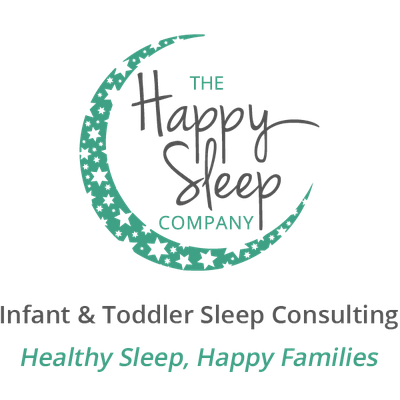 ), the toddler sleep regression is about your child learning and exerting control and independence, and testing boundaries to determine how the world really works! Many parents will assume that, because their child is now a bit older, bedtime should be later. This is not necessarily the case, so the first place to look when trying to solve those bedtime struggles is the timing of when your child goes to bed to ensure she is not overtired. Most toddlers who wake for the day around 6/7 a.m., and nap for a couple of hours at noon each day, should be in bed for the night at 7pm to avoid overtiredness. In some (more rare) instances, toddlers aren’t having quite enough awake time before bed, and it could be that they are not quite ready for sleep when mom or dad is tucking them in for the night. If your toddler is having a later nap of, for example, 1-3 p.m. each day, it’s likely that she can handle a bedtime of 7:30 p.m. and this will help her to be more ready for rest when she hits the hay. Distractions in your child’s room environment can play a key role in bedtime stalling. Avoid loads of toys piling up in your child’s room to keep bedtime distractions and early morning lego parties at bay. Ensure the room is very dark, to avoid street lights causing bedtime challenges, or sunlight causing napping struggles. If your toddler has expressed a fear of the dark (this is a learned thing, so some toddlers express this fear while others do not) then you could consider a small night-light to calm his worries, but ensure it is quite dim so as not to be distracting (and I recommend an LED option so it does not get too hot and become a safety issue). 3. Your 18-month old should be in a crib. Period. I suggest that children sleep in a crib until at least the age of three, and do not transition to a toddler bed/bigger bed before that time. The reason for this is related to your child’s level of comprehension at this age. 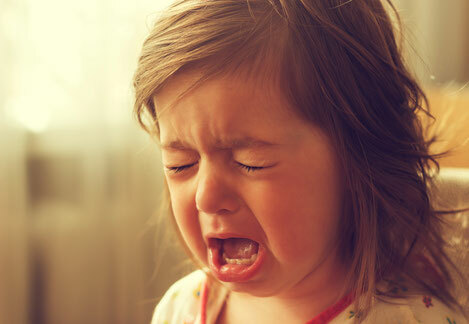 While it’s certainly not always a breeze to “reason” and “negotiate” with a three-year-old who is constantly getting out of bed, it can be a piece of cake compared to attempts at rationalizing with a two-year-old, who does not have the same comprehension level and reasoning skills as an older child. Learn more about this in my blogs about crib-climbers and how-and-when to transition to a "big kid" bed. Your toddler’s amazing little mind is already running at about 100-miles per minute, so no need to add to this in the minutes leading up to Snoozeville! Avoid any screen time at all at least 1.5 hours before bedtime. On top of the colours, the cartoon characters, and everything else on the tube that stimulates your little one’s brain, the bright light emitted from screens inhibits the production of melatonin, which is the naturally occurring hormone that helps our bodies fall asleep at our proper, age-appropriate bedtime. If you already have a bedtime routine in place, that’s great! But even the best bedtime routine may need some tweaking in the toddler phase. Toddlers thrive in situations where they know what is coming up next, so consider creating a bedtime chart to help your child visualize and prepare for each step of their routine. Find fun images of each element of the routine – bath, PJs, storytime, and into bed! – and put them on a chart and then check them off with your little one as you complete them. Or, consider taking pictures of your child doing each element of the routine and putting stickers on the chart as they complete each item each night. Children at this age often experience a new level of separation anxiety, so in addition to ensuring you fill up your little one’s love bucket during the day, and spend ample time on cuddles, talking, and bonding during the bedtime routine, you may wish to consider giving your child a comfort object for sleep. Most recommendations suggest nothing of this nature in the crib earlier than the age of one, but as a toddler it may be helpful to allow your child something small and soft and safe to provide extra comfort for sleep. Though I do suggest only one sleep object, to reduce stall tactics (“Froggy tonight! No, Bunny tonight! NO! Duckie tonight! !”) after the lights are out. Toddlers are growing and changing rapidly. By 18 months, they learn one new word every two waking hours; however, just because they understand the words, doesn’t mean they speak them or that you can reason with them – that comes closer to the age of three (another good reason to keep the crib until at least that age!). Any attention is good attention to a toddler. Your little one will need boundaries, but expectations will need to be reasonable and the language you use to communicate those expectations needs to be very simple using few, calm, even-toned words. If you do not allow your child to sleep in your bed, if your family’s sleep habits don’t include lying with your little one while he dozes off at night, or if your sleep practices involve waiting five minutes before responding to your child’s midnight tantrums, I don’t recommend changing these habits to try to get through this regression. Instead of helping you cope, they are likely to lead to much longer-term sleep challenges even once this “phase” has passed. With this being said, of course you will need to respond to your little one during night wakes or manage those bedtime battles in a way that he feels supported and loved. Perhaps this looks like holding your child during a night wake, but not holding him all the way to sleep; or lying with your child at bedtime, but leaving the room while he is still awake so that he can drift off independently. This is much more likely to get you through this regression and out the other side with good sleep habits in tact than throwing your old practices out the window!